On April 19, Cuba unveiled the first intergenerational leadership transition after the 1959 revolution. Raúl Castro, who rose to the presidency of Cuba temporarily after his brother Fidel’s illness in 2006 and permanently in 2008, that led a remarkable transformation of the island’s economy and politics of the island but leaves an unfinished legacy to his successor. The new National Assembly elected to a Council of State and named Miguel Diaz-Canel, a 58-year-old former provincial communist party czar as president of the new Council of State. The new leadership introduces an expansion of black representation at the upper echelons of the government. The first vice-president Salvador Valdes and two of the other five vice-presidents were afro-descendant. Cuba’s leadership transition triggered significant speculation that the leanings of the new Council of State and the domestic and foreign policy changes that might follow the rise of a president whose last name is not Castro. Is this presidential succession more than a change of personnel? How does this transfer of power differ from Fidel’s previous one to Raúl Castro in 2006? What implications does it have for Cuban politics and the course of reforms? Can we expect any systemic change as a result of the replacement of octogenarian Raúl Castro by a leader who is 58 years old and was born after the triumph of the revolutionary insurrection? Few transitions of leadership in the history of Latin America and the communist countries have been so carefully designed. From now until the eighth congress of the Communist Party of Cuba (PCC) in 2021 it will be necessary to observe how skilled and unified the Cuban elite is to execute it. This article discusses the importance of the Cuban presidential change in five dimensions: 1) the generational transition, 2) the first rise of a civilian to the presidency since 1976, 3) the separation of the heads of the Communist Party (CCP) and the government in the post-revolutionary political system, 4) the circulation of networks of influence and patronage within the Cuban elites as a result of the arrival of a new executive chief, and 5) the challenges of the new administration in foreign policy. In his book “Political Order in Changing Societies,” American political scientist Samuel Huntington defined the intergenerational transfer of power as one of the ultimate tests of the ability of a political order to institutionalize, adapt and reproduce. “So long as an organization still has its first set of leaders, so long as a procedure is still performed by those who first performed, its adaptability is still in doubt”- Huntington wrote (Huntington 1968). This is the challenge imbued in the passage of the presidency from the leadership that led the guerrillas to power in 1959 to other generations, born within the political system spawned by the Cuban revolution. The shift from Fidel to Raul Castro was an intra-generational succession, while the shift from Raul Castro to Miguel Diaz-Canel is an inter-generational one. The original Castroism was forged in the revolutionary war (1953-1959). They adopted the name “generación del centenario” (centennial generation) in honor of Cuban national independence hero Jose Martí’s one hundred anniversary in 1953. In terms of ideology, the centennial generation embraces a radical version of nationalism, denouncing the corruption of the previous elites and their subordination to United States’ diktat. Although many of the members of this cohort were not originally communists or Marxists, their political trajectory was marked by their autonomous taking sides about the “Fidelist” decision to adopt communism in the verge of the Bay of Pigs invasion in 1961. An alliance with the Soviet Union, the alternative superpower, became the most direct and effective choice that could guarantee a nationalist triumph over American imperial hubris. In addition to Fidel Castro’s charisma, the old generation relied on a heroic experience of open revolt against the oppressive Batista dictatorship. The greatest achievement of the centennial generation was revolutionary survival: A Cuba that could say “no” to great powers, first, the United States but at some point also to others, such as China, Europe, and the Soviet Union after the missile crisis. In contrast, the heirs of the centennial generation are mainly yes-men bureaucrats. They have risen to power, not by answering or competing against the established power, but because of their loyalty, obedience and bureaucratic skills to follow the policies that today’s octogenarians dictated to them. It was clear since the election of Mr. Diaz-Canel to the first vice-presidency in 2013 that he was the favorite to take power after the announced end of Raul Castro’s two terms. Diaz-Canel and his cohort of leaders in the Cuban government didn’t rise by proposing their own solutions but because they guessed properly what was reflected in the mind of Fidel, Raul Castro or their political godfathers. At times such as the early 2000’s, when Fidel Castro insisted on his failed collectivist “food sovereignty plan,” or “plan alimentario,” the obedient attitude of most of Miguel Diaz-Canel ‘s generation of mid-rank party leaders harmed the country and even the CCP’s political appeal. Still, they survived. The elders had to change their plans to face their failures. At some point in the near future, the new leaders will have to open their own debates, not in terms of what Fidel Castro or Che Guevara would have wanted, but rather on the optimal policies to deal with realities very different from those that their ideological godfathers faced under the Cold War. Their starting point is not one full of reservoirs of political goodwill, as was the case in 1991 when Soviet communism collapsed. At the current moment, the so-called “special period” now represents almost half of the time of the regime after the revolutionary triumph of 1959. 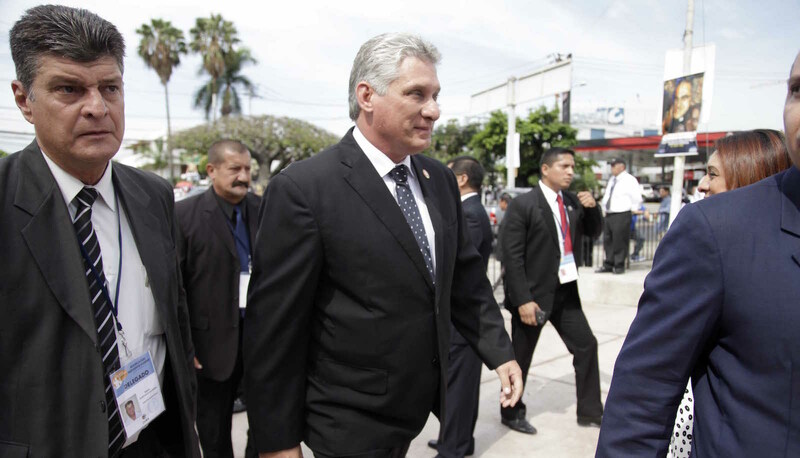 In his first speech to the National Assembly as president, Diaz Canel repeated Raul Castro’s vision of a “prosperous and sustainable socialism”. The message contained a number of slogans that sought to mobilize the population for a transition to more economic efficiency while retaining a commitment to the goals and political monopoly of the Communist party . Skeptics abound. Under Raul Castro’s last ten years’ as head of government, Cuba has become more diverse and pluralistic than in the past, with greater freedom of religion, travel and right to own private property. If the future of Cuba is a mixed economy, open to foreign investment, with a rising private sector, is communist ideology and suspicion toward markets the optimal vision to manage economic reform? One thing to notice is the loosening of what socialism is in the official discourse and the use of this label to refer to policies that were associated in the past with capitalist practices or heterodoxies within the regime. Cuban scholar Rafael Hernandez, director of reform-oriented Temas Magazine, defines Raul Castro’s legacy as the creation of a new conception of socialism. According to Hernandez, “The foundation of this transformation of the system is not rooted in the mere modernization of the development strategy, but in the construction of a prosperous, sustainable and democratic socialism, based not only on a new mentality and practices in the economy but also in politics. This shows up repeatedly in Raúl’s discourse, such as the need to “hold a dialogue with the citizens” (a more frequent term in his speech than with “the people”, and never with “the masses”), consulting with them the main policies, confronting the bureaucratic layer resisting change, the ineptitude of the media, and the stiff style of political education and ideological work (what he calls “the old mentality”) (Hernandez, 2017). The change of public policies relates not only to the inter-generational transition but also to the inevitable end of the charismatic model of “Fidel at the helm,” reformed but not abandoned altogether in the presidency of his younger brother. This reality opens the challenge of consolidating a collective leadership, already tried in Raul Castro’s term but not completed. Raul Castro’s two presidential terms can be considered a period of post-totalitarian institutionalism, characterized by bureaucratic pluralism, less mass-mobilization, and a less rigid Leninism. Another factor that makes collective leadership more likely here is the complexity of the issues the country is facing. Currency reunification, opening to foreign investment, connecting the state and non-state sectors, decentralizing economic and political power are issues that require experts, coordination, and consensus to mediate among interests and actors. Most of the members of the new team have combined different functions throughout the system: leaders of the Union of Young Communists (UJC), first secretaries of the Cuban Communist Party (CCP) in different provinces, members of its secretariat, heads of its Central Committee departments, ministers in various portfolios, secretaries in the councils of State and ministers, and military of different ranks. Such multiplicity of roles and the tutelage exercised in the promotion of other influential intermediate leaders gives these bureaucrats a political clout beyond one or two specific institutions. However, there is no individual; including Díaz-Canel, who is the best placed for his varied institutional and geographical trajectory, with the social penetration, revolutionary credentials, and base of power equivalent to his predecessors Fidel and Raúl Castro. Therefore, no one in the new generation of leaders can aspire to a paramount position with the command that the Castro brothers held. Cuba’s leadership transition spurred intense speculation about the new president and the domestic and foreign policy changes that might follow as a result of a different generation at the helm of the ship of state. Part of this speculation was due to ideological disorientation. It was clear that Cuban politics of the last five years has moved towards the handover of power to engineer Miguel Díaz-Canel. The evidence of his career, as CCP provincial czar in Villa Clara and Holguin, and his passage through the Ministry of Higher Education and the first vice presidency, profiled Diaz-Canel as a non-liberal modernizer within the Leninist canons of the current system. The balance of power that he inherits, with Raúl Castro as a veto player from his position in the first secretary of the PCC until 2021, the hostility anticipated by the United States under Donald Trump and the local elite interests that it represents, push Diaz-Canel down a road of caution. The new president also inherited a situation of partial reform. Since 2011, the CCP made the main ideological changes that expanded policy frontiers, reversing decades of attacking markets and private property. The changing of the guard does not amount to a significant ideological change because Raul Castro has already advanced a consensus around the Cuban elites about what was necessary to achieve economic growth and reinforce external legitimacy for the CCP rule. But the rise of a new generation with a longer political horizon than the octogenarians anticipates a more assertive course in terms of implementing the already approved reforms and breaking bottlenecks associated to the octogenarians’ deteriorated capacity for information management and thinking out of the box. On the typology of leadership James MacGregor Burns (Burns, 1978), Diaz Canel has the challenge to be a transactional leader at least for the first three years until 2021. Unlike a transformative leader, transactional ones coordinate incremental solutions to problems, without pursuing a systemic transformation. At least in the short term, a transactional leader has the opportunity to enhance his legitimacy by coordinating and implementing reforms already discussed and available in the CCP guidelines and following documents of the VI and VII party congresses. In the short term, He can count on Raul Castro’s support, a time and political space, he must not waste. One of the most underestimated effects of the reform is the enlargement of the scope and diversity of actors to take into account in the design and implementation of the changes. The new president will need collegial management, open ears to experts, and to be sensitive to the discussion of public policies between personalities or factions within the party-state elites. There are also problems of political culture inherited from the decades of a command economy. There is a paralyzing deeply ingrained attitude among many Cubans that assign to the CCP and the government the initiative for almost anything. It is difficult to imagine the reforms without more autonomy for civil society but such necessity entails difficulties for the new leaders. The Diaz-Canel administration would have to develop a mixed economy market structure with a weaker and less cohesive team than the one commanded by Raul Castro: a more pluralized society and bureaucracy. If decentralization occurs, new sub-national actors need to emerge. Implementing the already approved reforms is the most urgent challenge of the new administration. But this is not the biggest storm Diaz-Canel’s crew is entering. If the trends of partial reform consolidate, in the absence of 1) a system of control based on laws, regulation and legal contracts, 2) more transparency and accountability, and 3) the development of a new ethics of honesty within the conditions of a market economy, the political stability of the country might be threatened. There are clear signals of corruption, expansion of inequalities, and bureaucratic indolence towards situations of poverty and abandonment. Already many of the winners of the partial reform situation have begun to build fences in their neighborhoods isolating themselves and their relatives from the visible pockets of poverty and abandonment. The biggest challenge is not the implementation of the unavoidable and approved economic reforms, it is the political management of the consequences of actions like a currency devaluation or the decentralization of authority, that might well include a decentralization of corruption. The succession also announces the rise of a civilian to the presidency. It is a symbolic move towards the republican ideal of subordination of the military to the elected civilian authorities. With no notable experience or a base of power in the Revolutionary Armed Forces (FAR), Diaz-Canel as the new president of Cuba will depend on the support of Raúl Castro and the institutional legitimacy that the presidential office confers on him. But this might be not enough. Fidel and Raul Castro spoke bluntly to the military. They made clear to the generals that their corporative interests were subordinated to the revolutionary project at large. Diaz-Canel doesn’t have the military history or credentials to admonish Cuba’s men in uniform. That doesn’t mean the military is out of control but the potential for the use of misplaced power and lack of supervision exists. Diaz-Canel is no stranger to the Cuban military but does not come from within their ranks. After graduating from the Universidad Central de las Villas, he served for two years as a lieutenant in the armed forces. In his capacity as the first secretary of the CCP in Villa Clara and Holguin provinces, Díaz-Canel served as president of their respective provincial defense councils. From there, he interacted with the high command in two of the three military regions in which Cuba is divided: The Central Army, based in Matanzas, and the Eastern Army, based in Holguín. The time he served in the two provinces, his party leadership coincided both with the older generation generals Espinosa Martín and Quinta Sola, today in the national high command, as well as with their successors and now army chiefs, the generals Onelio Aguilera Bermúdez and Raúl Rodríguez Lobaina. These contacts mitigate but do not resolve the lack of prior control of the national security apparatus; today, the ultimate power in the Cuban political system. In the case of the Castro brothers, there was a clear hierarchy with both of them seated on top of the CCP, the FAR and the Ministry of the Interior. Díaz-Canel will be at best “first among equals” in national security discussions. He will need to strengthen his institutional leadership by getting the CCP top post in the next VIII Congress. Although Raul Castro announced the intention to pass the torch to Diaz-Canel in 2021, this is not a predetermined outcome yet. In the meantime, he will have to hope that the almost 87-year-old Raúl Castro can play a stabilizing role by asserting the nominal authority of the Party over the FAR-MININT complex. This road to the concentration of power in a single leader at the top of the system seems contradictory to the successful cases of socialist survival in East Asia in which collective leadership separated the functions of head of government and head of state. The trend would also make the Cuban system vulnerable to the trajectory of Mikhail Gorbachev dismantling communism from the center in the USSR. This also raises the possibility that Cuban leaders consider the convenience of separating party leadership from government and state functions as part of the announced constitutional changes once Raul Castro retires from the first secretary position at the CCP. A power sharing has its own political risks but it is unlikely that Cuba will experience a situation like the Mexican “maximato” (1929-1934) when Plutarco Elias Calles controlled the revolutionary party and the army developing a political tutelage over three presidents until General Lazaro Cardenas consolidated power restoring presidential authority. The new situation opens an interim in which for the first time since the adoption of the 1976 Constitution, the presidential authority from the council of State and ministers is distinct from the maximum leadership of the CCP. This offers an opportunity for institutionally clarifying the functions and the checks and balances between the government and the party. An institutional variant would be to amend article 74 of the 1976 Constitution, separating the presidency of the council of state from that of the council of ministers. Such a change could allow the president of the state and the first secretary of the PCC to remain in one person, while the presidency of the council of ministers, and therefore the responsibility in the daily promotion and implementation of policies are located in a prime minister, as in China. An important difference is that in the Cuban case, Diaz-Canel would take the reins of the state before those of the Communist Party. In China since 1989, it has occurred in the reverse order. The presidential succession is the beginning of the end of a long inter-generational leadership transition. After the passing of the presidency, Raúl Castro remains at the head of the PCC until his eighth congress in 2021, but people who began their political and bureaucratic careers after 1959 have ascended to the top of all regional armies of the Armed Forces, every department of the Central Committee, provincial leadership of the Communist Party, and most minister position in the government. It remains to be seen if the separation between the presidency and the leadership of the PCC can help to overcome the last obstacle to a smooth intergenerational transition: the retirement by age or term limits of the octogenarian group that has accompanied the Castros in all their political life. That gerontocracy, starting with Machado Ventura and Ramiro Valdés, has shown an attachment for the “honeys of power” -to use the expression coined by Fidel Castro- which has been unparalleled in Cuban history. Valdes, 86 years old, was ratified as one of the vice-presidents of the Council of Ministries. Machado Ventura, who is 88 years old would remain as the second secretary of the CCP at least until 2021. If Raúl Castro does not retire these octogenarians to the condition of advisers, they will continue to impede the implementation of urgent reforms. These octogenarians are actors in an endgame situation with a very short horizon to survive because of biological and political reasons. In addition to physical limitations to carry on the functions of deciding and implementing a comprehensive reform, their politics is more about control, patronage for their acolytes and distribution of favors rather than about creation of new wealth. The more they remain in policy- making positions, the longer it will take for the system to prepare for its most difficult challenge: the political consequences of the implementation of the necessary reforms. The arrival of a new team at the highest levels of the government, and eventually the CCP in 2021, implies a circulation of the tutelage and promotion networks exercised by the top government leaders on subaltern groups and personalities within the party-state. By changing those personalities at the top, there will be new actors with more access to the new president and vice-presidents, displacing those who used to have privileged access to Fidel and Raúl Castro. This change in the distribution of influences from the presidential transition is one of the most opaque but at the same time most important shift in areas such as the response to the spread of corruption and inequality during the last decade. The Cuban single-party system is not structured around a pluralism of cliques or factions in the style of dominant parties like the PRI and the Kuomintang, but there are regional, sectorial and shared life experiences that shape political affinities among bureaucrats. It is almost impossible to unveil key data of these informal networks of patronage within Cuban elites, therefore, it is only wise to ask questions and venture some facts and tendencies. Which groups or social networks of political influence have favored the promotion of Díaz-Canel and the team that aims to take the reins of the Cuban State? What is it that these groups want? Are the new leaders really a team? What are their values ​​and interests? What place in their hierarchy of concerns sits the defense of the monopoly privileges of state corporate groups such as GAESA and Cubanacan against other goals such as the protection of Cuban consumers and the preservation of the welfare network of public education and health? What powers will those who retire and their respective protégés have? Will they lighten or increase the fiscal and political burden of the current situation of partial reform and excessive gradualism? The preferences of three groups within Cuban politics have prevailed in the post-Fidel institutional dynamics: the CCP provincial czars, the military high command, and the managers of the new corporate sector. Having risen step by step in the political economy of the Cuban system, Diaz-Canel should know which generals, managers and party leaders he needs at his side, or at least who he shouldn’t cross. An important political decision for the new team is to present many of the challenges of economic transition and insertion in a global world (access to the Internet, for example) not as threats but as opportunities. This will be particularly difficult in the context of president Trump’s vitriolic attacks on Cuba, frequently confirming the worst fears and apprehensions of the Cuban elites towards the intentions of the United States. It would be a fatal mistake to think of Cuban politics as a game of contending elites. Raúl Castro’s reforms have provided for significant changes in Cuban society and its relationship with the state. The expansions of religious and travel freedoms, the right to own private property and the incremental access to the internet have unleashed dynamics of empowerment and pluralization in a society that are not reversible. Without the magic rhetoric of Fidel Castro or the legitimacy Raúl Castro projected as an original leader of the revolution, the new government team is forced to show effective performance in promoting economic development and social well-being. In addition, the Cuban revolution brought a significant improvement in the life of the poorest segments of the population. The healthcare and educational system are far from perfect but the performance of government in these areas guarantee is remarkable compared to other developing nations, other experiences of socialist reform and even developed countries (O’ Hanlon & Harvey, 2017). This structure of government-run universal access socialized services was ingrained in the ethics and political economy of the old system. Already, the reform trend is that resources (human, financial and informational) are becoming less a monopoly of the Cuban party-state but are in the hands of state corporations, some owned by the military as GAESA, cooperatives and private sector small firms. The new government needs not only to reform the economy but also guarantee this minimal plateau of equality and protection against extreme deprivation in sensitive areas for development and welfare. Without some important economic revitalization, the Cuban political system appears politically stable but economically fragile. A crisis in Venezuela might affect significantly Cuba’s energy and food security. Although the government is not facing any significant challenge from a disarticulated opposition — discredited by its ties to United States imperial policy of regime change — a new major economic crisis could create conditions that are unthinkable today. The development of new technologies and the access to the internet is providing new and younger actors with platforms of communication and political identification that didn’t exist before. Raul Castro’s presidency left Diaz-Canel a positive legacy in foreign policy. During his term, Cuba repaired its relations with the European Union ending the interventionist 1996 Common position and signing a new framework for economic cooperation and political dialogue. In recent years, Cuba received an important relief in terms of its foreign debt from Russia, China, and the Paris Club. The stage of Cuba’s relations with American allies, Canada, Japan and the European Union offers Diaz-Canel a great win-win opportunity for advancing economic reform, attracting foreign investment and undermining the U.S. embargo. A diplomatic offensive in this area, if the approved reforms are finally implemented, might be able to compensate the damages caused by worst-case scenarios in Venezuela. If his recent travels are a signal, Diaz Canel understands the potential of amplifying the relationship with East Asia. He has visited Laos, Japan, and China and Vietnam more than once. After becoming Vice President, he met with Chinese president Xi Jinping on several occasions, describing the traditional friendship between both nations as a bolster to increase mutually beneficial cooperation and to push for greater development between both nations (Xuequan, 2018). 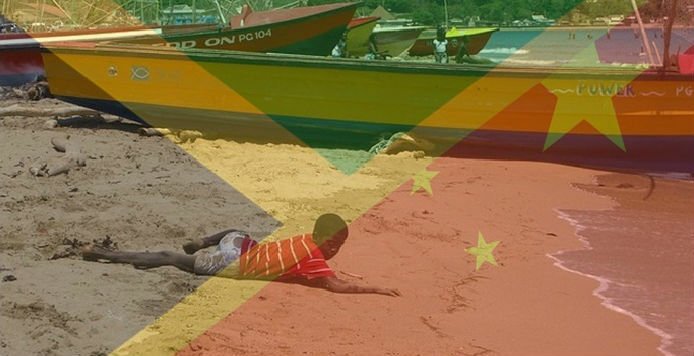 China and Cuba have enjoyed diplomatic relations for over 56 years and the Asian giant is currently the island’s largest importer, with an economic exchange of around $1 billion (CIA World Factbook, 2018). Together with Russia, China offers Cuba an important economic, political and diplomatic support given their role as strategic rivals of the United States and permanent members of the United Nations Security Council. These two countries have been key allies in solving the extreme situation of liquidity in order to face the two most vulnerable flanks of the system today: energy and food security. Díaz-Canel will also have to face the Trump administration. After Barack Obama left the White House, Miami Cuban-American right hardliners once again have hijacked the Cuba policy. Although Trump has not been able to roll back most of the progress in bilateral relations, he has outsourced Washington’s policy towards Cuba to his Miami allies in Congress, particularly Senator Marco Rubio. The United States has a golden face-saving opportunity to put the whole policy towards Cuba in review. For decades, Washington has been so obsessed with the Castros, that Congress even wrote their names in the 1996 Helms-Burton law objecting any normalizacion scenario in which Fidel or Raul Castro remains as president regardless of what behavior or legitimacy process the Cuban government produces. This obsession paralyzed and barred a more comprehensive approach to the island, less focused on the Castro family and more sensitive to changes in economy and society. There are officials in the highest echelons of the Trump administration who had defended rational pro-engagement positions in the past such as General John Kelly, President Trump’s chief of staff. In his tenure as U.S. commander of military operations in the Western Hemisphere, Kelly invited Cuban military officers to regional dialogues supporting Obama’s policy of normalization with Cuba. General Kelly even proposed that the U.S. naval base in Guantanamo be run “jointly” with the Cuban government. Unfortunately, the most recent changes of personnel in Trump’s team do not augur a White House rational position on Cuba. The new secretary of State Mike Pompeo was a rabid opponent of Obama’s opening of relations with Cuba while the new national security adviser John Bolton became famous for falsely claiming that Cuba was developing biological weapons. In thinking about U.S.-Cuba relations and the impact of the presidential succession, observers tend to focus on who the new president of Cuba is. What does he want? Is Diaz-Canel a pragmatist or an ideologue? These inside-out questions are important but the context of the relations is more relevant than the president’s last name and trajectory. Power in Cuba’s foreign policy is also less personalized. That is why it is also useful to reverse the perspective and ask What is the impact of competing approaches of engagement (Europe and Canada) and hostility (Trump Administration) on Cuba’s internal political debate about foreign policy? How these two approaches constrain or expand reform choices? Before the 2016 elections, particularly after Barack Obama’s visit to Cuba, the central political questions asked by many Cubans about the United States was whether a new Cuban leader would be capable of capitalizing the new friendly international environment to relaunch the reform process and undermine the logic of the embargo. After the election of Trump and his insistence on a return to hostility, dismantling the diplomatic presence in Havana, the central question has changed to whether the new president would be able to resist and defeat a return by the U.S. to an imperial policy of regime change imposed from abroad. Nationalism has been an important source of legitimacy for the CCP. The Cuban government also has decades of experience resisting successfully the embargo policies. It is too early to say definitively whether this presidential succession will strengthen the role of the CCP in Cuban history by showing the proper capacity to govern and implement the necessary reforms with political stability. The official rhetoric surrounding the transition presents it as a relay race rather than a shift of direction. The documents of the VI and VII Congress of the CCP ended the stigmatization of markets and private property rejecting only wealth concentration. But none of the proposed changes has as of yet been presented as promoting either liberal democratic values or capitalism but to make Cuban socialism and the Communist party’s political monopoly sustainable. The main obstacles to the implementation of Cuba’s urgently needed economic reform are not ideological but political. The CCP has already approved important moves towards a mixed economy with a larger private and cooperative sector, integrated and connected to the state sector and opened to foreign investment. Under the rubric of a search for “sustainable socialism”, the new leadership might redesign the economy and break from the paralyzing situation of a partial reform equilibrium. In addition to problems of technical capabilities to manage the challenge of a transition from a command economy to a more market oriented one, the Cuban government is facing difficulties associated with its survival strategy since the 1990’s and the excessively gradualist approach used to adapt to the post-soviet world. A legacy not of the classical communist era but of the two-track economy of the last decade is full of opportunities for rent seeking behavior in management, arbitrage between the different sectors, traps of corruption, red tape bureaucratism, new state corporate monopolies, and lack of consumer protection. Together with the structural problems of energy and food security vulnerability, these problems make the unavoidable the adoption of a more comprehensive approach particularly in the areas of currency reunification and articulating the state and non-state sectors. Economic reform is the most urgent task for the new generation of leaders but not the most complex and risky. Even if Cuba is able to show a “prosperous and sustainable socialism”- as the CCP post-Fidel guidelines announced- the result of marketization would make the country necessarily more unequal, diverse, plural and open to foreign influences. Not all Cubans are winners in the reforms. There is also the danger that political mismanagement of the necessary restructuring of economic sectors creates a negative focus on relative gains and value sharing rather than on a search for positive-sum outcomes and wealth-creation. In fact, the early stages of changes have shown a group of early winners such as the managers of the new corporate state sectors and associates of foreign investors who support monopolist practices with a corresponding reduction to competition-related efficiency and abuses to consumers. The most complex task of the new government is to cope with the political consequences of implementing the market-oriented economic reforms. The Cuban revolution and the political discourse of its leaders, Fidel Castro specifically, opened expectations of social justice, racial and gender equality and wealth redistribution in most segments of the population. This social dimension is part not only of communism as an ideology but most importantly of Cuba’s nationalist culture. Within these structural conditions, a comprehensive market oriented economic growth strategy that will help the poor is the best safeguard for political stability. This strategy would have to manage the tension between promoting market and private sector opportunities while pursuing a clear anti-corruption policy. The most immediate problems are in the economy, but the most difficult ones remain in the political sphere. In the foreign policy arena, despite the troubles with the Trump administration, the Diaz-Canel team began its first term with some significant opportunities for building a world friendly to the CCP proclaimed economic reforms. Raul Castro cultivated a significant improvement of ties not only with strategic rivals of the United States in Moscow and Beijing but also with American allies in Europe, Asia and Latin America. This patient work for the last decade, including the renegotiation of Cuba’s foreign debt offers the new government important opportunities to advance the country’s economic position if more consistent reform is launched. On the other hand, Cuba’s image and behavior as a one-party polity with a decidedly non-liberal-democratic approach to human rights presents consistent concerns for the liberal democracies of the world. This is not only a problem with the United States and its counterproductive policy of the embargo but a conflict with a set of values that promote a liberal democratic welfare state as a paradigm of international human rights. First and perhaps foremost, most of Cuba’s partners believe that Cuban authorities need to encourage economic growth. The policies of economic reform imply a non dismissive expansion of civil, social and economic rights in areas such as travel, religion and the right to own private property. The relationship between Cuba and the international community will benefit from an explicit recognition of these advances. At the same time, the new Cuban government should expect that outside its main possible allies in China, Russia, and Venezuela, many potential partners of its reform such as governments, international organization or private actors, would face pressure to encourage the Cuban leadership to promote a freer political sphere. These dynamics of economic reform, political liberalization, inter-general leadership transition and more active interactions with the outside world were obviously seen by the Obama Administration as reasons to abandon the failed policy of open confrontation with Cuba. In its last two years in office, the Obama Administration tried to offer the upcoming Cuban leadership an opportunity to think of the future of the island without a permanent and direct confrontation with the United States. Obama even went to to Havana to frame the new era in terms of what the two countries can do if leaders at both sides of the Strait of Florida focus more on cooperation than disagreement. The central question of U.S.-Cuban relations for the very much rising Cuban leadership was whether Diaz-Canel could be capable of taking advantage of an atmosphere of dialogue, mutual reassurance and positive gains. This picture changed radically with the election of Donald Trump and particularly after his speech in Miami in June 2017. An excessive emphasis by president Trump on cooperating with the extreme hardliners of the Cuban American delegation in Congress and the use of some mysterious incidents of alleged sonic attacks against American diplomatic personnel for almost closing the American embassy in Havana, have produced a return by the U.S. administration to the logic of regime change imposed from abroad. Trump’s return to the Helms-Burton approach is already propelling the Cuban elite to its traditional nationalist stance. The political question of U.S.-Cuba relations for president Diaz-Canel is whether he will sustain the tradition of Cuban nationalism and rally the people around the flag of resistance against American imperialist policies. This is an area in which the Cuban government has had strong, extensive and successful experiences. Additional editorial support provided by JIM BAER, Senior Research Fellow. ← Nicaragua: A Turning Point? The U.S. and Cuba: Destined to be an Environmental Duo? June 12, 2009 COHA Comments Off on The U.S. and Cuba: Destined to be an Environmental Duo?